Will Humans Achieve a Type 1 Civilization by 2100? 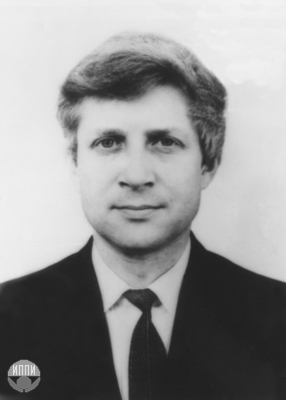 Nikolai Kardashev, a Soviet astrophysicist born in 1932, devised a method of rating advanced civilizations. Technological advances, according to Kardashev, could theoretically create conditions where a society could maximize use of energy: first, maximizing the energy striking a planet from its local star; second, maximizing all the energy emitted by a local star, not just that which falls on that civilization’s planet; third, maximizing the energy derived from all the stars in that civilization’s galaxy; and fourth, maximizing the energy from all the galaxies and intergalactic medium within the entire Universe. He categorized each of these stages as Type 1 through Type 4. Based on Kardashev’s speculations where does our civilization sit today? We are Type 0, somewhere between 0.7 and 0.72 producing 15 Terawatts of energy, a mere fraction of the energy a Type 1 would harvest from the physical world. The renowned theoretical physicist, Michio Kaku, has speculated on Kardashev’s scale and believes humanity will attain Type 1 status within a century or two. How? Through harnessing of fusion, and antimatter. To get to Type 2 we will maximize the use of antimatter as an energy source. We will harvest star matter and use it as we see fit. We will no longer be confined to living in proximity to a single star, but to many. We may even build Dyson spheres to encase stars, (see image below), to capture all the energy for the civilization residing within them. To get to Type 3 we will tap into the energy of black holes and even find the other side, the white holes, that propel matter outwards. By then we will have harnessed the energy of our entire galaxy and spread throughout. A Type 4 civilization will harness dark and extra-galactic energy. Such a civilization would be unrecognizable to us as such because it would be indistinguishable from the Universe itself. Would we evolve into pure energy? Would a Type 4 civilization be immortal and omnipotent. So if Kaku is right then here are speculations on human civilization’s evolution. By 2100 A.D. as Kaku predicts we will approach a Type 1. We will capture all the solar energy that reaches Earth increasing our energy supply by a factor of 100-billion. We will have harnessed nanotechnology and warp drive propulsion and will be a civilization of this world and off this world. By 2200 A.D., a mere century later we will approach Type 2, harnessing all the energy of our Sun, another 100-billion-fold increase. We will be extra-solar inhabiting planets on many nearby stars. By 3000 A.D. we will have harnessed the energy of every star in the Milky Way, another 100-billion-fold energy increase. As a Type 3 we will traverse the galaxy and will, along the way, meet many other technologically advanced civilizations. And then to attain Type 4 we will reach much further into the future, to 12000 A.D. At that point we will have transcended the physical reality of our Universe and may even have poked through to parallel universes in the multiverse. Sounds delusional? Remember where human civilization’s technological achievements were in 1000 A.D. What would a person living in that time think of the world in which we live today? Magical? Incomprehensible? One thing we know for sure, technological breakthroughs that at one time took a century to achieve, now can happen in a year. It remains true that some technologies are harder to crack, like developing fusion energy. But today we are much closer to achieving that fusion breakthrough that alone will move us faster to becoming a Type 1 civilization. And after that will the rest unfold?